The reason behind the great reviews has everything to do with taking the easy-to-use technology and reliability of the Honda brand and applying it to a package that fits the needs of literally millions of American drivers. The three top-selling models in the country all are pickup trucks, and while the Ridgeline wasn’t built to compete with those behemoths, it is a midsize pickup with enough to power to get plenty of jobs done, thanks in large part to its brand-new 3.5-liter V6 engine capable of producing a more-than-reasonable 280 hp and 262 lb-ft of torque. 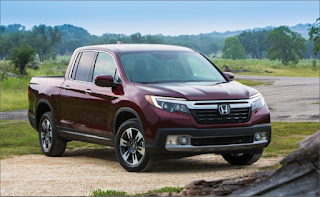 The 2014 Honda Ridgeline made 250 hp, and the new numbers are competitive with other trucks in the midsize pickup segment. It also boasts really nice efficiency numbers, as well as the clean interior design and technological offerings we’ve grown to love in other models currently available at Honda dealers across the country, including Apple CarPlay and Android Auto integration for the 8-inch touchscreen infotainment system. Frankly, we’re very excited to see the return of a model that we were very sad to see go in the first place, and we’re confident that our customers here in San Diego are going to be just as pleased to see it return to the lot as we are.